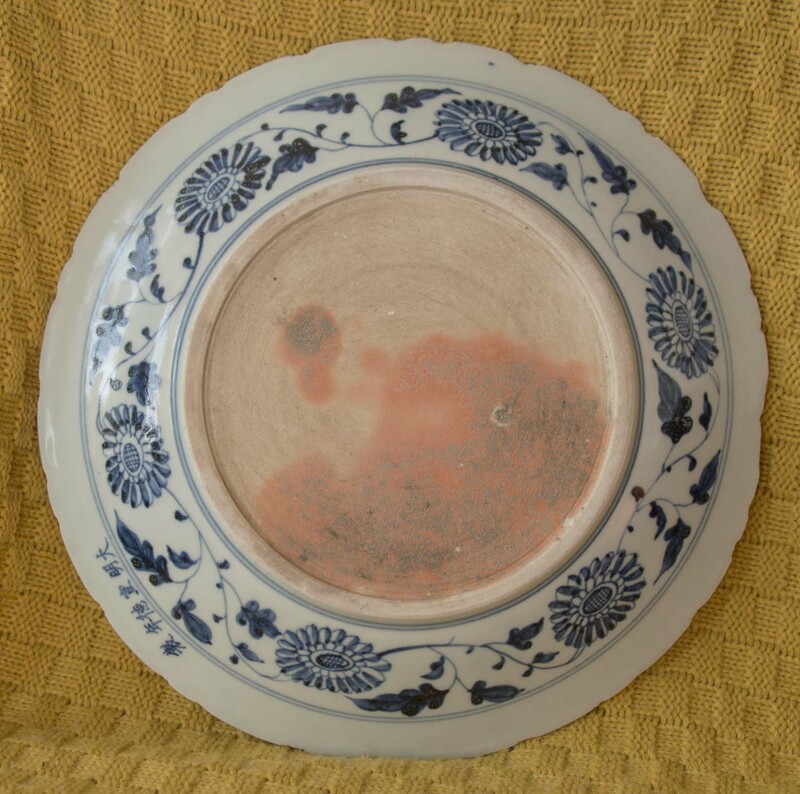 When I first saw this plate (27 cms diameter), I wasn't sure if the design was very far eastern (i.e. a design for the western market), but I may be wrong...wouldn't be the first time!! Can somebody please help me with the inscription to ascertain maker and age? Your bowl is of Chinese make, it depicts what I believe to be a 'qilin' while having a xuande mark (1425-1435) however I do not know whether it is genuine or not, but nevertheless it is a very nice bowl. I've done a little more digging on this design and I suspect my 'thoughts (above), that this may be for the eastern market, are probably wrong. 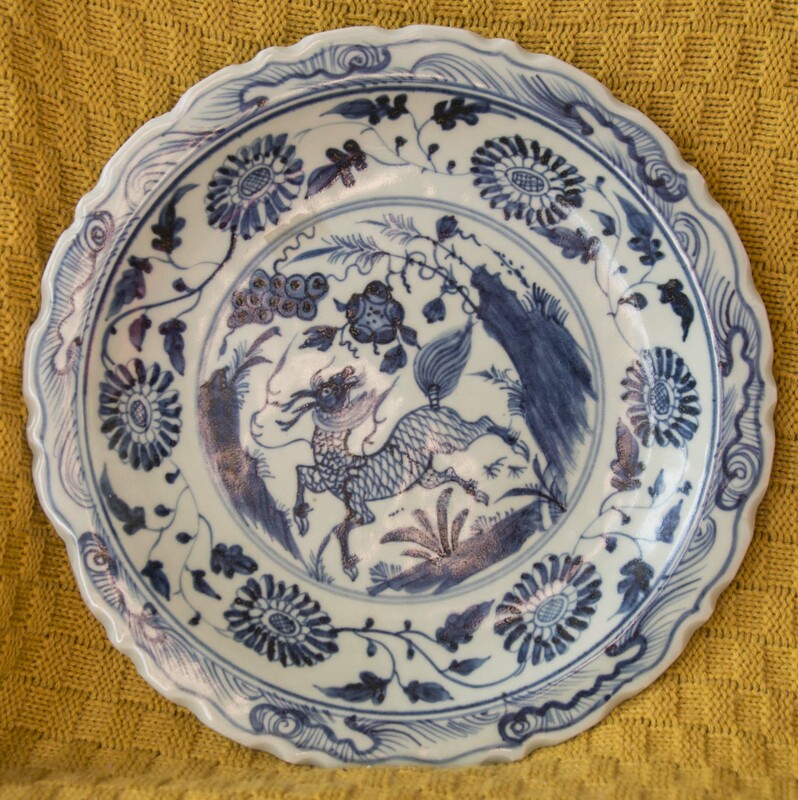 I think the design on this plate might represent a Qilin (Kirin), a Chinese/Japanese mythical chimera like creature which represents change in ruler or mystic. Thank you for your input Tom. Our messages 'crossed', but its nice to know your views confirm my suspicion re the Qilin. Can you tell me which of the marks represent the Xuande mark (I'm always keen to learn)? Despite my poor photograph of the front of the plate, it seems to be in lovely condition. 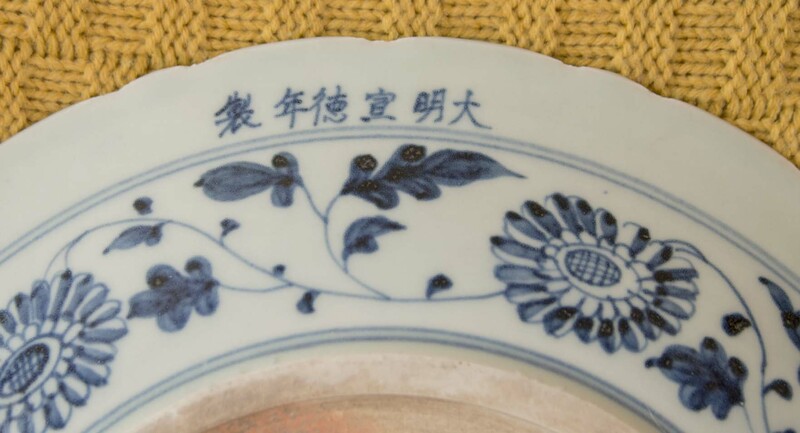 Hello, This is a new production copy of an old Ming Charger or Plate. Hi Jonathan, thanks for your input. Can you elaborate: what is it you see which classifies this as a re-production?